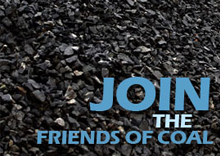 Why should I join the Friends of Coal? 1. Informed supporters. 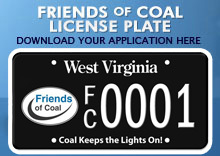 Through word-of-mouth, direct mail and the Internet, members of the Friends of Coal will receive information about the coal industry and its importance to West Virginia. This information will also include updates on the activities of the group and upcoming events. 2. Grassroots recruitment. 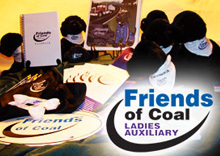 As a member of the Friends of Coal, it is vital to the success of the group that each member also recruit family members, neighbors and fellow workers to join, whether or not they are directly involved in the coal industry. We need your help, not your money. To join, all you have to do is fill out the form below. You'll be part of growing team that's working across West Virginia and in other states to increase our membership and show the "strength in numbers" that our coal industry has through bumper stickers, events and making our voice heard in the mass media.